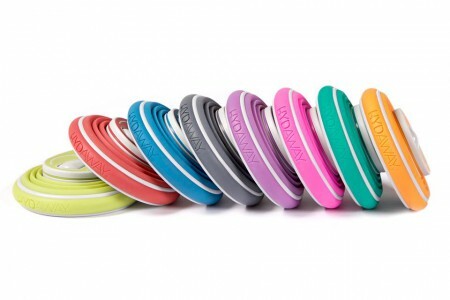 Hydaway Bottle– perfect to store away in small areas, the Hydaway Bottle without water looks similar to a hockey puck, but, put up to 12 ounces of water and it expands to include a handle and flip-up straw for easy drinking. 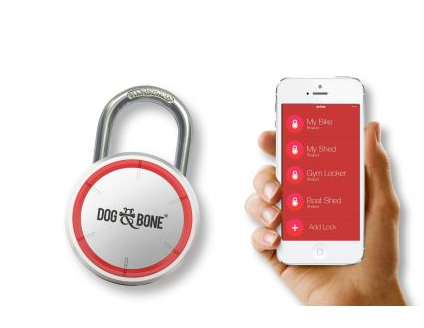 Locksmart Keyless Bluetooth padlock– know someone who’s always paranoid about losing their luggage? Locksmart’s Travel Bluetooth padlock will track your luggage at all times by keeping you updated through a cell phone app. Best part about this gift? It is TSA approved for efficient travel. It’s the most wonderful time of the year so we’re doing things a little bit differently and putting the spotlight on how we celebrate the Holidays at GSP. During the holiday season, GSP hosts a wonderful Holiday Music Series featuring local schools and organizations. 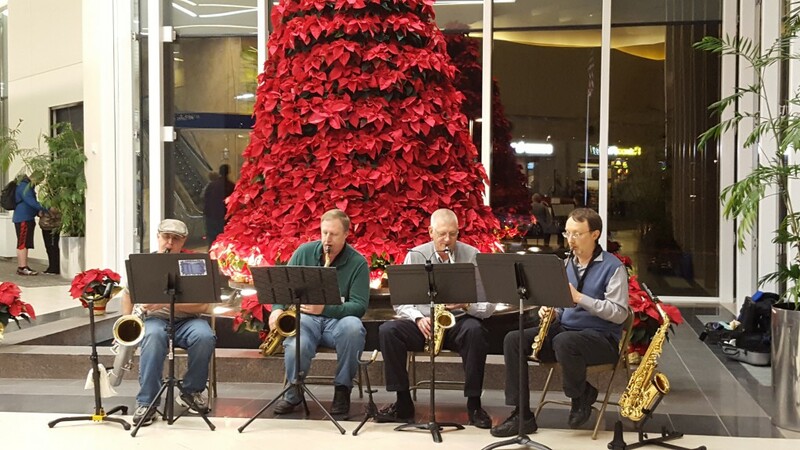 Whether it’s a middle school band, high school choir or organizations like the Spartanburg Saxophone Quartet, you can find them in the Baggage Claim area through Dec. 19th. 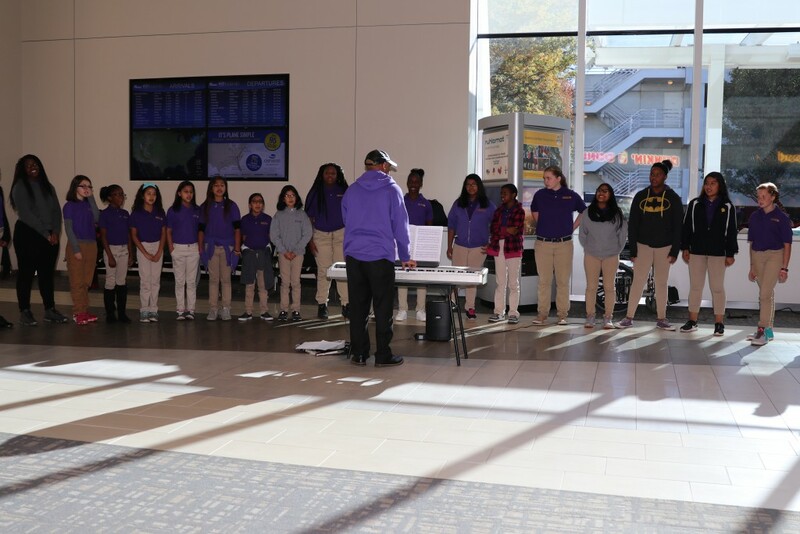 Groups from all over the Upstate have brought a smile to passengers, airline employees, and anyone lucky enough to catch their sets. Check out some snap shots below and see videos of their performances on GSP’s Facebook page! Imagine this… you wake up one morning ready to get on your flight to celebrate your best friend’s bachelorette weekend. You’re so excited and everything seems fine, until you look at the clock and realize you were supposed to be at the airport 20 minutes ago! Panic mode kicks in and you decide that you’ll do your makeup on the airplane. You find a parking spot easily, check-in and walk through security like a champ, find your gate in Concourse A and even have time to grab a Dunkin’ Donuts coffee. 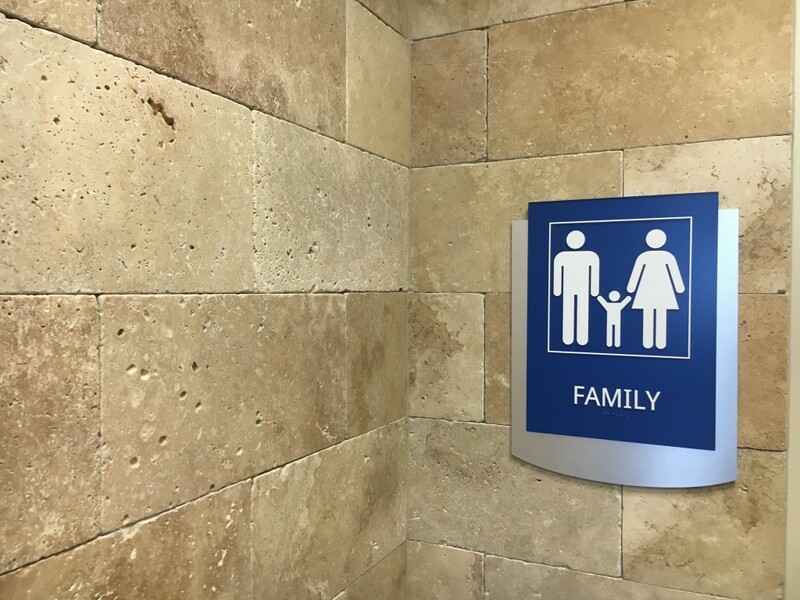 Once you realize you have some extra time, you stop at one of GSP’s renovated restrooms, you whip your makeup bag out ready to get glammed up and realize you forgot your mascara and your hair is looking a little messy. Panic mode kicks in again, because as soon as you land the festivities begin! 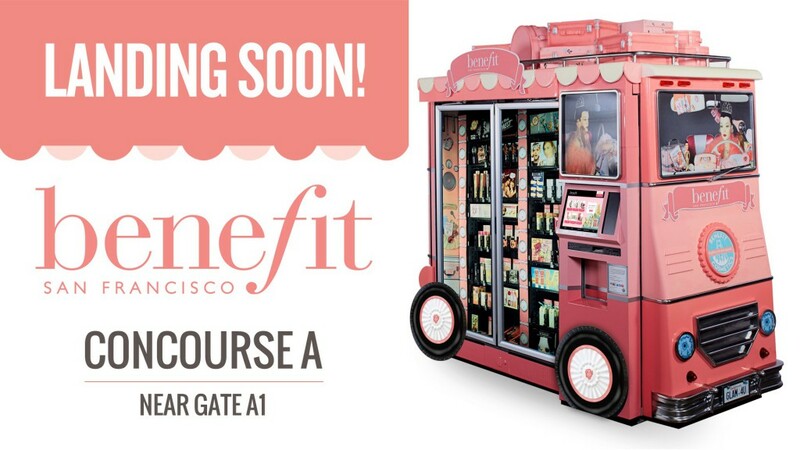 No need to fear, coming in early 2017 to GSP’s Concourse A, a Benefit cosmetics kiosk “Glam Up and Away.” Here you can purchase some mascara, hair products and a little bachelorette beauty gift for your bestie. Now you can proceed to your flight and onto the festivities calm, cool, collected and fully made up! Did you know that the average traveler can get by with less than 75% of what they typically pack during a vacation? Take time and thoroughly evaluate the difference between absolute necessities and unneeded luxuries. While packing, consider what liquids you’ll be bringing and their sizes. To learn more about the liquids rule, visit https://www.tsa.gov/travel/security-screening/liquids-rule. And don’t forget that GSP now has a centralized TSA screening point that should make the process quicker for everyone. Snacks. Snacks. And more Snacks. An underlying sense of hunger can turn the most minor inconveniences into major annoyances. Thanks to our WINGSPAN additions, there are now 5 places to grab a bite to eat at the airport. They include Flatwood Grill and Dunkin’ Donuts before you go through security, Dunkin Donuts/ Baskin Robbins in the Grand Hall, Thomas Creek Grill in Concourse A and RJ Rockers Flight Rook in Concourse B.
It’s also easy to stay hydrated with our new water bottle stations located in the A and B concourse. The TSA recommends waiting until you reach your destination to wrap gifts, because there’s a chance they might need to inspect it for security purposes. But if you forget your gifts or don’t want to worry about packing them, the four Hudson News locations at GSP offer local goodies that make a unique gift for anyone on your list. Travel Early or Late in the Day. The best time to travel? When everyone else is still in bed—then use the time you save on the road to nap later in the day. It has also been proven that planes traveling earlier in the day have a better on-time performance, so plan accordingly. The gift shop at MAD appeals to visitors by offering uniquely crafted handmade items. 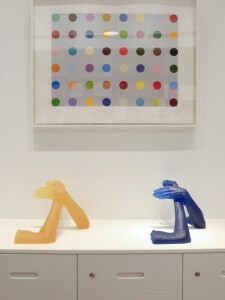 There is an excellent assortment ranging from home wares to world-renowned jewelry. 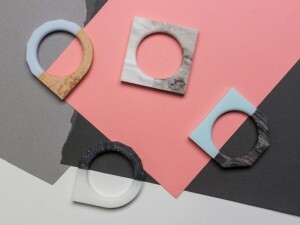 A popular stand-out is the North South Bracelets which are constructed using two magnets and allow for the sharing of each half between friends. 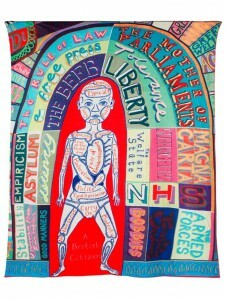 The NPG is a popular choice for those who love literature, history, science and exploration. Strolling around the gallery can feel like a contest which begs the question, “who can recognize the most people and their accomplishments?” Thankfully, the gift shop can provide all the answers you’ll ever need sold in postcard format. These notes are excellent for corresponding with loved ones or simply as gift souvenirs themselves. The striking store nestled in the lobby of The Broad is a fantastic place to begin building an art collection because many of the items sold here were created in collaboration with the artists themselves. Additionally, signed copies of the artist’s books and catalogs are available for purchase at relatively inexpensive prices and provide visitors with a valuable opportunity to learn more about postwar and contemporary art. There you have it, folks. We only listed a few of our favorites, to see more amazing gift shops, check out the entire article here! Maybe you’ll treat yourself or someone special the next time you travel. On October 15, GSP celebrated its 54th birthday! 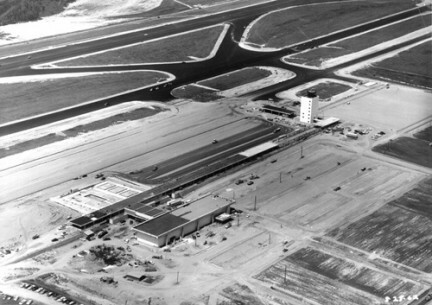 The airport’s groundbreaking ceremony was held on July 7, 1961. And in 1962, the airport was officially born, becoming the first non-military airport to have a runway center line lighting system. 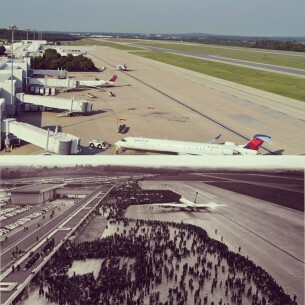 Since 1962, we have seen the airport transform in remarkable ways. In 1988, a parking garage was constructed and expansions began to take place. 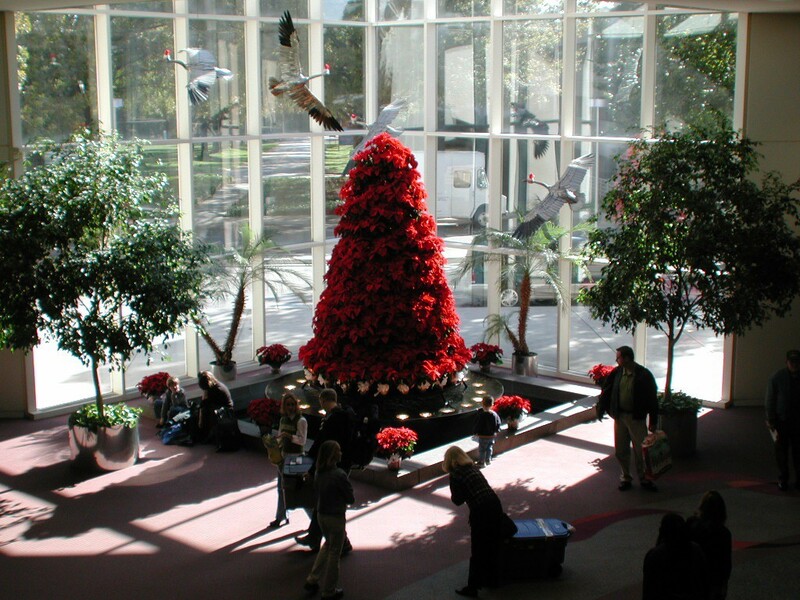 Then, in 1995, the airport’s runway was extended from 7,600 feet to 9,000 feet and the airport’s name was changed to the Greenville-Spartanburg International Airport. It achieved international status because of the two Federal Inspection Stations housed in GSP. The runway was extended again to its current length of 11.001 feet making it possible for any aircraft flying today to land safely at GSP. 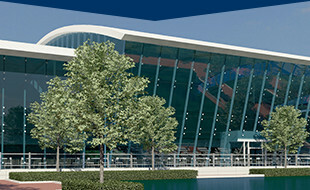 Today, the airport’s WINGSPAN renovations, which are coming to an end, will result in improved efficiency, an increase in capacity, improvements in safety and security processes, additional food, beverage and retail options and more while maintaining the authenticity and community feel that has made GSP such a special place to fly into and out of for more than half a century. We are proud of our accomplishments and look forward to the next 54 years and beyond. Thanks to our GSP family and community, we are stronger than ever. Who knew 54 would feel and look so good? Traveling with your pup? Here are a few tips that may help make the experience a little easier for you and your canine companion. First, if you have a few months or weeks where you can take a practice trip, take your dog on a local day trip, or even out to a dog park and lunch afterwards. 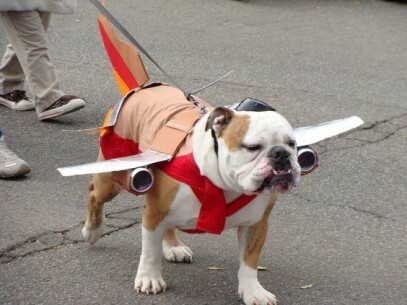 This will get your pet accustomed to becoming a traveler and comfortable in unfamiliar settings. Another way you can get your pet accustomed to traveling is by crate training. Your pet may feel some anxiety while traveling if they are not used to being in a crate. Train them to feel at home in their crate, and you’ll be smooth cruising. Don’t forget to pack for you fur child as well! Food, toys, and possibly a comfortable dog bed if you have room. There are many tips to consider if you travel with your pet, so read the full article of tips, here. After all, life is not about where you go, but the people, and the furry friends, you share it with. Make yourself at home in paradise in Taos, New Mexico with its surrounding mountains and beautiful art. From one of the nation’s oldest settlements to cruising down the Rio Grande, there’s a lot to do in this cool area. Stay in one of the low key areas of Montana, where you can visit Yellowstone National Park and possibly spot bears, moose or other animals along with enjoying 1,000 miles of trails. Take a road trip to one of the Southeast’s favorite destinations, Tennessee and North Carolina’s Great Smokey Mountains. With an amusement park and hiking trails for all, you can’t go wrong with this Southern treasure. Love the big city feel? Chicago offers tons of free sightseeing, such as the iconic “Bean” sculpture. And, GSP offers nonstop flights to this fun destination. Take a trip to a city that is basically in your backyard, South Carolinians. 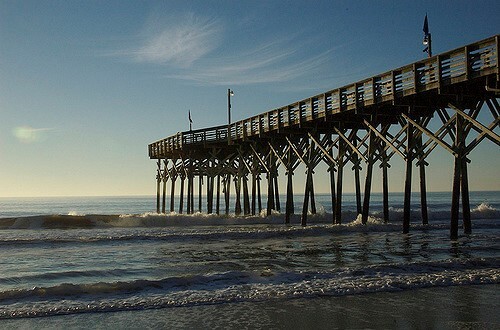 Myrtle Beach hosts an array of activities. Or, you can just bring your towel and sunscreen and soak up the free beach sun. Check out more budget-friendly vacations here. 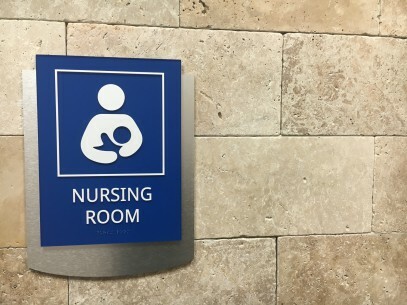 Nursing pods are appearing all over the country at airports like Atlanta’s Hartsfield-Jackson and NYC’s La Guardia in order to accommodate breastfeeding moms. Pods give traveling moms an opportunity to nurse or pump milk in a private and clean location. But, GSP decided to take it a step further in our WINGSPAN renovations with brand new Nursing Rooms and Family Restrooms. Located on both Concourse A and Concourse B, the new amenities, give families a cozy spot to do what is sometimes a huge headache. The nursing rooms are equipped with a deep sink, easily accessible electrical outlets, soft lighting and comfortable seating. Mothers don’t only get privacy and comfort, but children have a quiet space to nurse before or after a plane trip. And, the family rooms offer a generous amount of room for wandering children. So, moms-on-the-go (and dads too), we get how challenging traveling can be with little ones, and we hope these new features help make your experience more peaceful and enjoyable. In 1916, Pacific Aero Products Company in Seattle was founded by William Boeing and later renamed as Boeing Airplane Company. The company built commercial and military aircrafts, eventually establishing an airline and international postal line in 1919. Today, Boeing is the face of American aviation and the world’s largest manufacturer of commercial and military aircrafts. The company controls half the market for jet aircraft, next to military jets and helicopters, missile systems and space technology. Boeing put this legacy on display at this year’s Farnborough airshow that took place last week. Alternating annually with its sister show in Paris, the airshow is one of the most important events in aviation. Marking Farnborough’s 100-year anniversary as well, its organizers unveiled an aerial display that paid homage to Boeing’s roots. Boeing’s most iconic aircrafts participated in flying displays, along with interactive displays showcasing the company’s past, present and future technologies. In addition to celebrating a century-long rise to becoming one of the world’s biggest aircraft manufacturers, Boeing also celebrated courting new business in outer space. From rocket and satellite technology to deep space exploration and even space tourism, the legendary company quite literally reaching for the stars. Even so, commercial aircraft services will always be at the foundation of business for Boeing. To learn more of Boeing’s history and more, take an interactive look of 100 years of aircrafts. 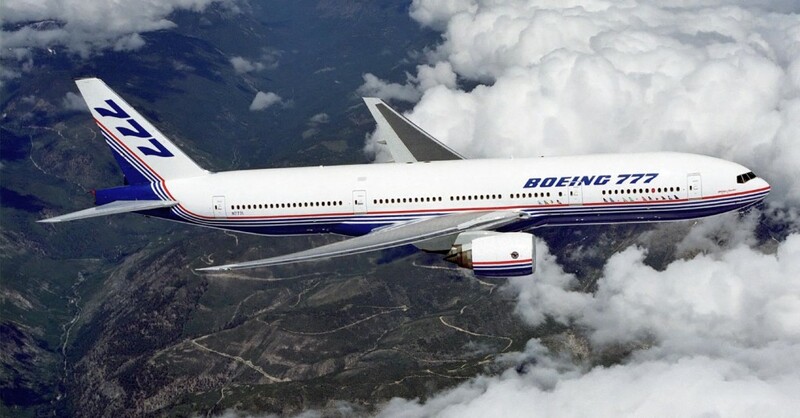 Happy anniversary, Boeing!